Winterton lies on the Norfolk coast between Hemsby and Horsey. The village is dominated by the tower of Holy Trinity Church which rises to the height of 132 feet. Winterton has a long history as a sea-faring and fishing village and also lies on a notoriously dangerous stretch of coast. The churchyard of Holy Trinity is littered with the graves of sailors who died at sea - and inside there is a Fisherman's Corner established by the Rev. Clarence Porter who, himself, drowned while attempting to save a choir boy. At the very same unhappy juncture, a fleet of loaden ships were coming from the north, and being just crossing the same bay, were forcibly driven into it, not able to weather the Ness, and so were involved in the same ruin as the light fleet was; also some coasting vessels loaden with corn from Lyn, and Wells, and bound for Holland, were with the same unhappy luck just come out, to begin their voyage, and some of them lay at anchor; these also met with the same misfortune, so that in the whole, above 200 sail of ships, and above a thousand people perished in the disaster of that one miserable night, very few escaping. 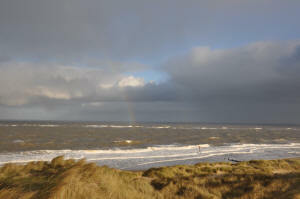 It is no coincidence, then, that it is also at Winterton that Robinson Crusoe experiences his first shipwreck. After setting sail from Hull, Crusoe travels down the east coast but gets into difficulty off the Norfolk coast. Fortunately though he manages to reach the shore in a rowing boat and make his way back to Yarmouth on foot. Robinson Crusoe was first published in 1719 and is widely regarded as the first English novel. 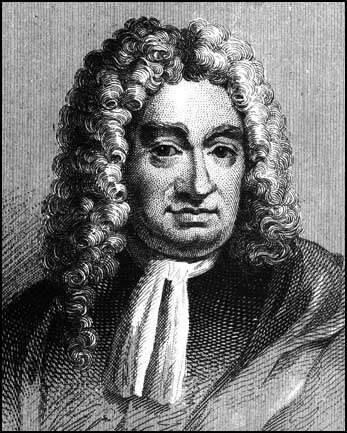 Defoe drew inspiration for the novel from the real-life adventures of Alexander Selkirk who, in 1704, was put ashore on the uninhabited island of Juan Fernandez in the Pacific Ocean. Selkirk was rescued five years later by Woodes Rogers. While researching his novel Armadale (1866) - Collins visited Winterton and fell in love with a local girl called Martha Rudd - who later returned to London with him and became his partner. The folk singer and fisherman Sam Larner lived in Winterton and there is now a blue plaque on the wall of his former cottage. Sam was discovered in 1956 by a BBC radio producer from Birmingham who recorded 25 of his songs. Sam learnt most of his songs - some of which were a bit risqué - from fishermen he worked with on the drifters. He is best known for Now Is The Time For Fishing. Ewan MacColl also wrote The Shoals of Herring about Larner's life. The novelist Sylvia Townsend Warner visited Winterton frequently staying at the Hill House which was once owned by Valentine Ackland's family. The Hill House is now part of the rather bizarre holiday centre which includes African inspired thatched huts. 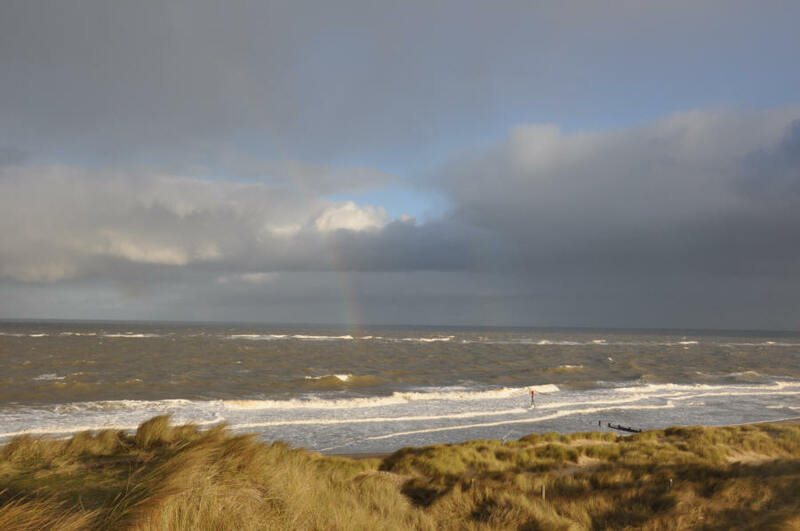 Both Ackland and Townsend Warner wrote poetry inspired by the beach and dunes at Winterton. Here is Ackland on the subject: 'The dandling sea nursed me, the sand was soft and gentle./ Larks sang and I was unwatched for long hours of clear daylight.' The couple later became gay lovers and lived for a time at both Salthouse and Sloley. like an actor playing Dostoevsky. disappearing into a grey sky. the wind blows towards the land. How Black she do look!